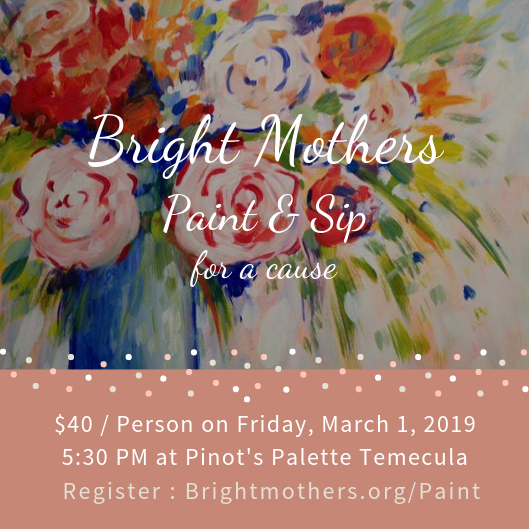 Come join the Bright Mothers Team for a fun night at Pinot’s Palette! Paint a beautiful modern bouquet for someone you love, giving that special person in your life flowers that never fade! Arrive at 5 for the painting to begin at 5:30! Proceeds of this event will help fund scholarships to low income single mothers in Southern California! Have fun while giving back!